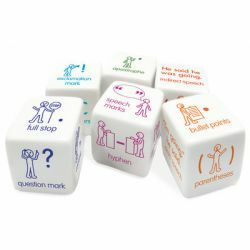 Punctation Dice are a collection of three soft dice (x2) for teaching different punctuation marks and their use in text. 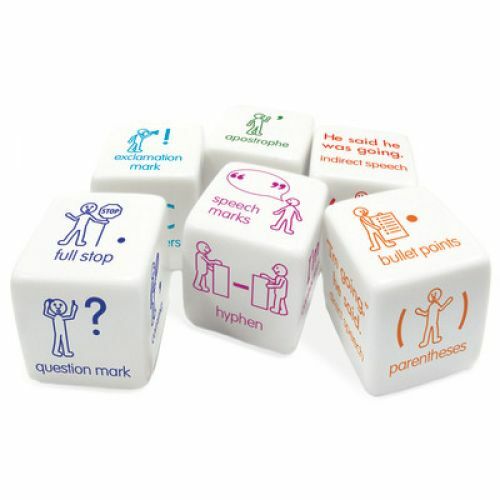 Roll the dice and create sentences or text that use the punctuation marks shown. Discuss the purpose of punctuation marks and how they are used.